This York® cappuccino mix combines peppermint and chocolate flavors to produce an irresistible cup of cappuccino! 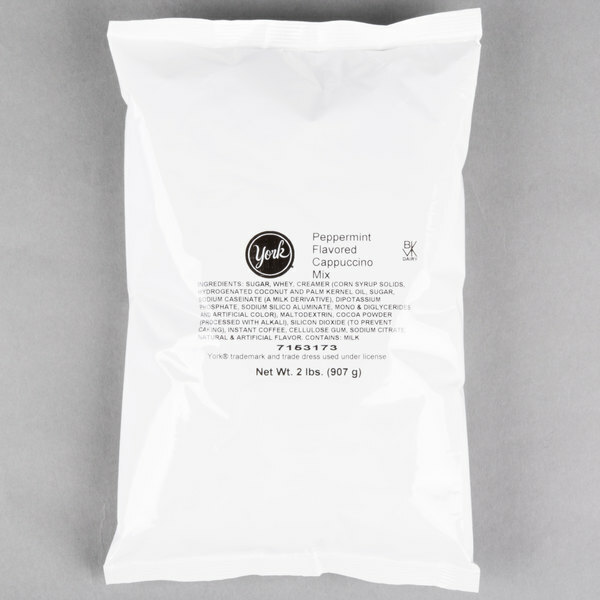 When mixed with hot water, this powder mix yields a smooth and creamy consistency. Top off the finished cappuccino with whipped cream and chocolate shavings to create specialty dessert drinks that customers will love. 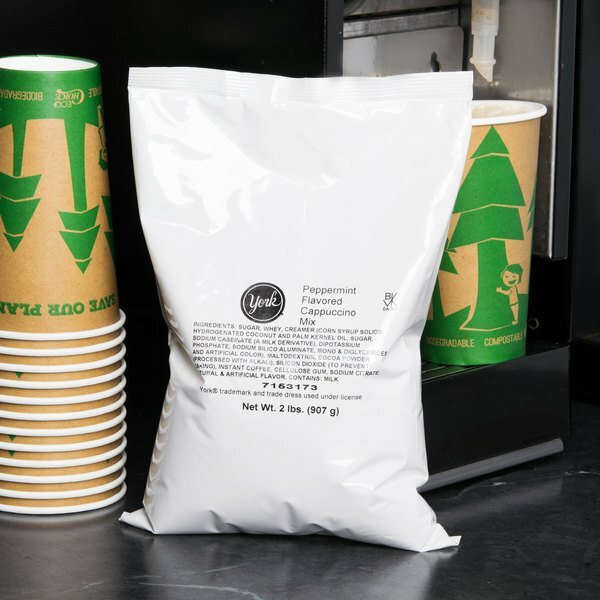 This cappuccino mix makes the perfect addition to your coffee shop, restaurant, concession stand, convenience store, or hotel. 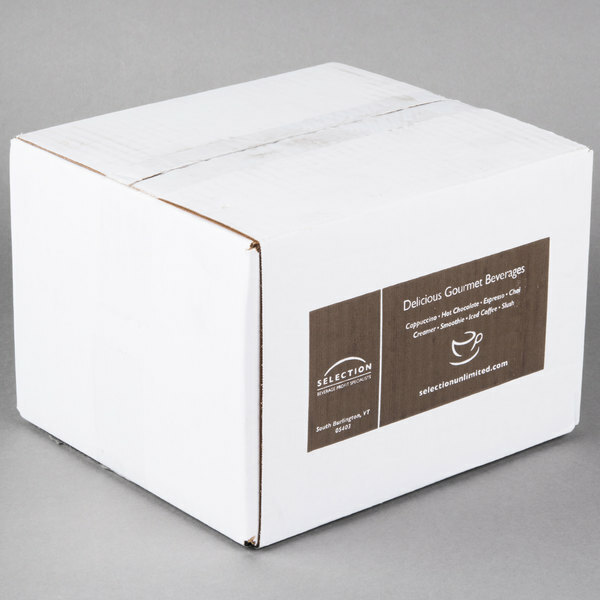 With a flavor reminiscent of York® peppermint candy bars, it delivers premium flavor while saving preparation time! 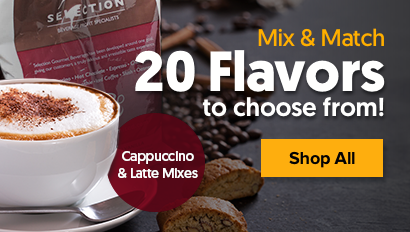 This cappuccino mix comes with all the flavor and frothiness of decadent cafe drinks without all of the time and effort. This easy-to-use mix delivers a consistent product each and every time. Each 2 lb. bag of mix yields approximately (29) 8 oz. cups of cappuccino. Serve this flavored cappuccino alone, or use it to complement sweet desserts or breakfast pastries. No matter what you choose, this York® peppermint mix will produce consistent cups of cappuccino that are full of rich flavor. I bought a bag of this York peppermint mix to share with friends. Everyone really like sit expect one. They said that it needs more peppermint so if you have a peppermint syrup that may be a plus. The York Peppermint mix is great and has a nice refreshing flavor. The mix is terrific for the Christmas season and works perfectly in my cappuccino machine. This York Peppermint Cappuccino Mix is the perfect combination of a hot cup of coffee and those peppermint patties you love !!! With a creamy mint taste, and the pep to keep you going in th morning, you can't help but want some more, mmmmm. I wasn't impressed... It was good but nothing amazing. I was hoping for a strong peppermint-y flavor with this one and it just didn't deliver in that department. I could just taste chocolate when I drank this. While it was good I probably wouldn't purchase again since it wasn't true to the York Peppermint flavor that I was hoping for. The York peppermint cappuccino mix makes for a great holiday themed cappuccino at our store. The mix works great in our machine and simply blends with hot water for a decadent, creamy cappuccino.